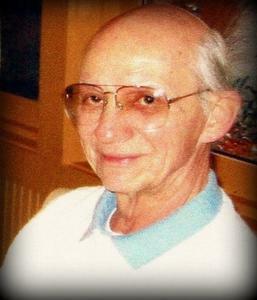 Kenneth C. Dettmer, "Ken", age 82, passed away peacefully surrounded by family December 13. Preceded in death by his son Devon. Loving husband of 42 years to Mary Ann. Beloved father of Jeanne Klynsma (Thomas). Cherished grandfather of Damon Dettmer and Lola Klynsma. Brother of Ross. Brother-in-law to Linda and Randy Kessler. Brother-in-law to Susan Bock. Uncle to Mary Grace Brandt (Marc), Laura Garcia (Lawrence), Carrie Ockerman (Justin), Dan Kessler (Sara), and James Kessler (Ellen). Great uncle to Lydia Brandt, Ben Brandt, and Gabe Garcia. The family would like to thank all of the men and women of Brightstar Care and Residential Hospice for their wonderful care. Family will receive guests Sunday from 3-9pm at Neely-Turowski Funeral Home, 45100 Warren Rd (btwn Sheldon & Canton Center Rds) where a memorial service will be held Monday at 11:00am. In lieu of flowers, please make a donation to Paws With A Cause. Visit www.TurowskiLifeStory.com to sign the online guestbook.